The eleventh season of American Idol premiered on Fox on January 18, 2012. The show aired on Wednesdays and Thursdays at 8/7c. Ryan Seacrest returned as host, while Randy Jackson, Steven Tyler, and Jennifer Lopez all returned as judges. Interscope Records Chairman Jimmy Iovine, a songwriter and producer, also returned as an in-house mentor to work with the contestants on a weekly basis. This season followed the same format as season 10, although a new title screen and logo were created, with a different font. Tyler and Lopez announced that they would be leaving the show two months after the finale. Though Lopez later returned as a judge for the show's thirteenth season. The season set a record when 132 million votes were gathered for the finale. 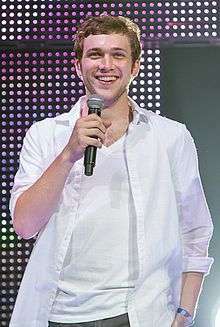 On May 23, 2012, Phillip Phillips became the winner of the eleventh season of American Idol, beating Jessica Sanchez, the first female recipient of the judges' save. Six contestants from this season were signed to record labels. The signed artists are Phillip Phillips, Jessica Sanchez, Elise Testone, Colton Dixon, DeAndre Brackensick and Heejun Han. Several contestants that were not signed by a record label have independently released music, such as Hollie Cavanagh, Joshua Ledet, Erika Van Pelt, Jeremy Rosado and Shannon Magrane. Additionally, Skylar Laine signed to 19 Entertainment's management and was in the process of finding a label, but she later parted ways with them. ^Note a The New Jersey audition episode was not aired due to scheduling changes. The New Jersey audition was a late addition to the schedule, the audition was held although the attendance was reportedly low. However, the audition episode was not shown, the first time that a scheduled audition that had taken place was not shown. Contestants known to have auditioned in New Jersey were listed as having auditioned elsewhere on the official American Idol website, for example Alex Wong who auditioned in New Jersey has San Diego listed as his audition city on the official website. The Hollywood rounds of auditions were held at the Pasadena Civic Auditorium starting December 12, 2011. There were 309 contestants at the start of Hollywood Week. The contestants performed solo for the first round, and 185 made the cut. Amongst those sent home included actor/comedian Jim Carrey's daughter, Jane Carrey. Another contestant, Symone Black, collapsed and fell on stage, but made the cut. The second round involved group performances, and a number of contestants became ill and collapsed in the auditorium. 98 contestants moved on to the third and final round, which were solo performances accompanied by a band or instrument. The contestants were then separated into four rooms, where one room of 28 contestants were all eliminated, while the 70 contestants in the other three rooms all advanced to the Las Vegas round. After Hollywood, the contestants went to Las Vegas for a challenge round where they performed traditional late 1950s song in groups with Elvis Presley "Viva, Elvis!" show as the backdrop. 28 of the 70 contestants were eliminated. Next came a solo round accompanied by an instrument at the stage for Le Rêve at the Wynn Las Vegas. After the 42 remaining contestants sang their last solo at the Wynn Las Vegas hotel, they were called one by one to hear the final judgement. Twelve guys and twelve girls were initially announced as the semi-finalists; however, the judges announced plans to add a thirteenth male semi-finalist between Jermaine Jones, Richie Law, Johnny Keyser and David Leathers Jr. The following week, after the male performances, Jermaine Jones was revealed to be the thirteenth performer. The semi-finals round started on February 28. Below are the two semi-final groups (males and females) with contestants listed in their performance order. The top five males and top five females, along with the three wild card choices by the judges, advanced to the finals. The males started the semifinal round, and the females continued on following night's episode, the contestants perform songs of their choice (there was no particular theme). This season, long-time vocal coach Debra Byrd was replaced by Jimmy Iovine's own team in the live shows. Following those ten singers advancing on Thursday, March 1, six of the remaining 25 semi-finalists were selected by the judges to compete in the Wild Card round. The Wild Card round immediately began, following the announcement of the ten finalists. Following another performance by each Wild Card contender, the judges then selected three contestants to advance to the final group of 13. Phillip Phillips (born September 20, 1990) is from Leesburg, Georgia. He attended Lee County High School. He graduated Albany Technical College, but had to miss the graduation ceremony due to being on American Idol. He auditioned in North Charleston, singing "Superstition" by Stevie Wonder and Michael Jackson's "Thriller" with the guitar. He performed "I Only Have Eyes For You" with Heejun Han, Neco Starr, and Jairon Jackson during Hollywood Week. Many people have compared his vocal style to that of Dave Matthews, whom he has also noted as an influence. Phillips was announced the winner on May 23. Philips' coronation song, "Home", was a great success with sales 4 million copies in the U.S.
Jessica Sanchez (born August 4, 1995) is from San Diego, California. Sanchez auditioned in San Diego. She performed "It Doesn't Matter Anymore" with DeAndre Brackensick and Candice Glover in Las Vegas. During the Sing For Your Life green mile round, Sanchez performed "The Prayer" by Andrea Bocelli. Before Idol, she was known for her appearance on the first season of America's Got Talent where she was brought back by judge Brandy during the show's wildcard round. Sanchez also participated in the YouTube edition of "We Are the World" along with 56 other YouTube artists, including American Idol season 10 finalist Thia Megia. She was saved from elimination by the judges after receiving the lowest number of votes in the top seven round, making her the first female contestant to be saved by the judges. Sanchez was announced the runner-up on May 23, 2012. 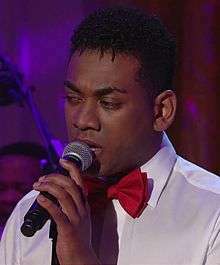 Joshua Ledet (born April 9, 1992) is from Westlake, Louisiana. He writes songs and lyrics for and attends the House of Prayer Holiness Church. He auditioned in Houston, Texas. He originally auditioned for American Idol season 10, but he did not make it past the audition stage. He was dubbed "Mantasia" (as being the male version of American Idol season three winner Fantasia Barrino) during the semi-finals. He performed "Blue Suede Shoes" with Shannon Magrane, Amber Holcomb, and Curtis Finch Jr. His musical influences are his mother, Christina Aguilera, Whitney Houston, Michael Jackson, Fantasia Barrino, James Brown, Luther Vandross, Stevie Wonder and Elton John. He was eliminated on May 17, coming in third place. Hollie Cavanagh (born July 5, 1993) is originally from Liverpool, Merseyside, England but grew up in McKinney, Texas. She originally auditioned for season 10, but she was eliminated in the green mile round and was encouraged by Jennifer Lopez that she could win the competition in a couple of years with practice. Hollie sang "Mr. Sandman" with Naomi Gillies and Marissa Pontecorvo in Las Vegas. Hollie's only appearance in season 11 was during the Top 42 green mile round. She sang "Change" by American Idol season four winner Carrie Underwood for the Sing for Your Life round. She was eliminated on May 10, coming in fourth place. She auditioned in Galveston. 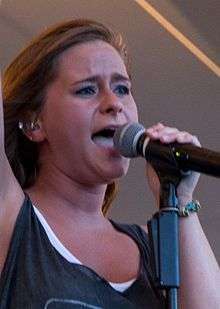 Skylar Laine (born February 1, 1994) is from Brandon, Mississippi. She is the second finalist to hail from Mississippi, with the previous one being Jasmine Murray from season eight. She auditioned in Galveston, singing "Hell on Heels" by Pistol Annies. In Las Vegas, she performed "Dedicated to the One I Love" with Colton Dixon, Chase Likens, and Cari Quoyeser. Her musical influences include George Jones, Waylon Jennings, and Miranda Lambert. She was eliminated on May 3, coming in fifth place. Elise Testone (born July 29, 1983) is from Mount Pleasant, South Carolina. She auditioned in North Charleston with the song "Get It While You Can" by Janis Joplin. 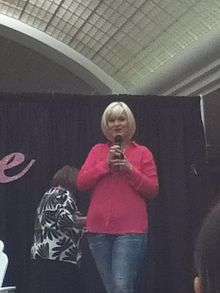 Prior to Idol, she was a voice instructor in Mount Pleasant, South Carolina, and she performed regularly, either solo or with one of several bands, in Charleston, South Carolina. In 2011, her band, the Freeloaders, won the Funk/Soul/R&B Artist of the Year award in the Charleston City Paper’s Music issue. Testone received additional recognition from the Charleston City Paper in 2011, winning the staff pick for Best Tribute for Elise Testone’s James Brown Dance Party. She has performed as an opening act for various other artists, including Snoop Dogg, Nappy Roots, Seven Mary Three, and Kevin Costner’s band, Modern West. She was eliminated on April 26, coming in sixth place. Her debut album, In This Life was released on February 11, 2014. 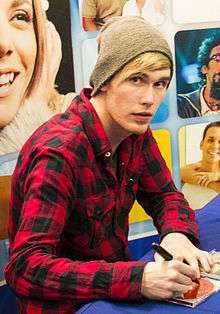 Colton Dixon (born October 19, 1991) is from Murfreesboro, Tennessee. He auditioned in North Charleston with his younger sister, Schyler. He originally auditioned for season 10 along with Schyler in the Nashville, Tennessee, auditions, but she was cut in the group round and then he was cut in the green mile round. Dixon returned in season 11, however he did not plan to audition, initially planning to simply accompany his sister Schyler to her audition. The judges implored Dixon to audition as well, where he sang David Cook's "Permanent". Colton performed "Dedicated to the One I Love" with Skylar Laine, Chase Likens, and Cari Qouyeser in Las Vegas. In Las Vegas, Schyler was eliminated, bringing Colton to tears. He performed the Coldplay song "Fix You", and dedicated it to his sister. He was eliminated on April 19, coming in seventh place. Prior to his elimination, Dixon had never been in the Bottom 3. His debut album A Messenger was released on January 29, 2013. DeAndre Brackensick (born October 21, 1994) is from San Jose, California. He auditioned in San Diego, California. He originally auditioned for American Idol season 10, but he was cut in the green mile round. He performed "It Doesn't Matter Anymore" with Jessica Sanchez and Candice Glover in Las Vegas. He is an active participant in Oak Grove High School's Theater Arts program and is the president of the school's Polynesian Club. He was eliminated on April 5, coming in eighth place. Heejun Han (born April 20, 1989 in Anyang, Gyeonggi, South Korea) is from Flushing, New York. He and his family migrated to Queens, New York when he was a child and then moved to Flushing, Queens, New York during his teenage years. Before American Idol, he was a non-profit organizer, working with children with special needs. He has spoken of suffering from emotional depression and credited the children that he worked with for helping him to recover from his illness. He has also said that the children motivated him to audition for American Idol. He auditioned in Pittsburgh with "How Am I Supposed to Live Without You". His audition brought Jennifer Lopez to tears, and Steven Tyler stated "I think you are really great. I think you could be the American Idol". He is the first Korean American to make the finals on American Idol. He was eliminated on March 29, coming in ninth place. Erika Van Pelt (born December 12, 1985) is from South Kingstown, Rhode Island. She auditioned in Pittsburgh, Pennsylvania, with song "Will You Love Me Tomorrow" by The Shirelles. She draws her influences anywhere from Aretha Franklin, Chaka Khan, Joss Stone, Jill Scott, and Kim Burrell. She has a passion for rhythm and blues, soul, country, jazz, rock and classical. She was eliminated on March 22, coming in tenth place. Her debut album, My Independence was released on October 8, 2013. Shannon Magrane (born October 21, 1995) is from Tampa, Florida. She is the daughter of Tampa Bay Rays broadcaster and former St. Louis Cardinals pitcher Joe Magrane. She auditioned in North Charleston, South Carolina, with the song "Something's Got a Hold on Me" by Etta James. She was eliminated on March 15, coming in eleventh place. Jermaine Jones (born November 18, 1986) is from Pine Hill, New Jersey. He auditioned in Portland, Oregon. He attended Overbrook High School. Before Idol, he worked as a vocal instructor at Highest Praise Performing Arts Center. Jones was not originally chosen for the semi-finals, but he was called back after the top 24 selection filming, making him the 25th semi-finalist and thirteenth male semi-finalist. Standing 6 feet 8 and a half inches tall, he was dubbed "The Gentle Giant" on the show. His musical influences are his mother and John Legend. On March 13, he was disqualified for concealing arrests and outstanding warrants. He is the second Idol contestant to be disqualified during the finals, as Corey Clark was disqualified in the second season, and he came in twelfth place. Jeremy Rosado (born March 24, 1992) is from Valrico, Florida. Rosado previously auditioned for American Idol four times. He was eliminated on March 8, coming in thirteenth place. He is the fourth wild card finalist to be the eliminated first in the finals, with his female predecessors being Leah LaBelle (season three), Jasmine Murray (season eight), and Ashthon Jones (season ten). His musical influences are Francesca Battistelli, Kirk Franklin, and Israel Houghton. His debut single, Don't be Afraid was released on April 2, 2013. In this season, maintaining the previous season's format, there are 12 weeks of the finals and 13 finalists, with one finalist eliminated per week based on the American public's votes (exceptions include Top 13-week, where the judges were able to decide who would go home based on the lowest votes between the male and female contestants, and Top 12-week, where Jermaine Jones was disqualified). Previous season's winner Scotty McCreery recorded the Tim McGraw song "Please Remember Me" as the send-off song played when a contestant is eliminated. Jimmy Iovine resumed duties as a weekly mentor to the contestants, frequently assisted by guest mentors. This season, the fashion designer Tommy Hilfiger and Soyon An were employed as image advisers for the Top 10 finalists. On March 7, 2012, the women performed Whitney Houston songs and the men performed Stevie Wonder songs. Ryan Seacrest stated that it will be a competition between the male and female contestants. As a result, the bottom three of each gender, as well as the male and female contestant who received the lowest number of votes amongst their gender, were announced the next night, and the judges chose who went home. However, this will not count as the supposed "Judges' Save" which can only be used once in the competition before the Top 5. Between Jeremy Rosado and Elise Testone, each of whom received the lowest number of votes for their respective gender groups, the judges used the Top 13 Save on Elise Testone and chose to eliminate Jeremy Rosado from the competition. Due to a hidden criminal past, Jermaine Jones was disqualified prior to the Wednesday performance show. Footage of executive producers Nigel Lythgoe and Ken Warwick confronting Jones was shown in what would have been his performance slot, in between Van Pelt's and Laine's performances. A clip of his rehearsal, singing "Somewhere Out There", was shown after his removal from the competition. Voting continued as scheduled with one of the remaining 11 contestants eliminated in addition to Jones, unlike the season 2 disqualification of Corey Clark. Group performance: "The Longest Time"
Group performance: "Raise Your Glass"
Each contestant performed two songs: a Billboard number-one hit from the 21st century and a song from the classic soul era. Normally two finalists would be eliminated the week after using the judges' save, however, only one finalist was eliminated. Group performance: "Dancing in the Street"
Brian May & Roger Taylor with group on performance night: "Fat Bottomed Girls" / "Another One Bites the Dust" / "We Will Rock You" / "We Are the Champions"
Group performance: "Got to Get You into My Life"
^Note 1 : The 'Top 13' results featured 'Bottom 3' groups for each gender, with Testone and Rosado receiving the least votes among their respective genders. The judges subsequently opted to save Testone, thereby eliminating Rosado from the competition. ^Note 2 : Jones was disqualified for failing to disclose his full criminal history prior to the voting rounds commencing. ^Note 3 : Due to the judges using their one 'Judges' Save' per season, in order to save Sanchez, the 'Top 7' remained intact for another week. On March 14, finalist Jermaine Jones was disqualified for concealing arrests and outstanding warrants. Jones, however, denied that he had concealed his previous arrests, as he admitted his arrests when he signed up for Idol. A police official in a New Jersey town where he was the target of two arrest warrants said that "the case wasn't big enough to merit going after him in California", and a New Jersey legislator commented that for the show "to expose, embarrass and interrogate a young man without an attorney in front of 40 million viewers was an outrage". Critics suggested that the show may have staged the disqualification to boost ratings. When asked about speculations that producers had prior knowledge of his criminal past and that the producers were simply out to exploit him on-air, Jones replied that "I haven’t even taken my mind into that and why they did what they did, because then I’ll drive myself crazy". The music video of Jennifer Lopez's song, "Dance Again", which aired on the program, was criticized as inappropriate for younger viewers. Dan Gainor of the Culture and Media Institute wrote, "Even the supposedly family-friendly TV shows like American Idol are never safe in the hands of Hollywood," and went as far as saying her "skanky new video shows how desperate she is to retain her fame despite her fading relevance. Such sexualized videos aren't appropriate for any children to watch, including Lopez's own twins." Jenna Hally Rubenstein from MTV Buzzworthy also commented about the video's content not being appropriate for a family show, "we thought "Idol" was a family show? This video is less "sit on the couch and chill with dad" and more "call your boyfriend over immediately." Ed Masley from AZ central.com said that the video was on the verge of being too "steamy" for the show. Thirteen of the contestants from season 11 auditioned for the subsequent season and made into the Top 40. Ten of them made into the voting rounds. On March 8, 2013, only Janelle Arthur, Candice Glover, Curtis Finch, and Amber Holcomb made into the Top 10 and have guaranteed a spot on the Summer Live Tour. Aubrey Cleland later made it as well. Candice Glover – auditioned in Savannah, cut on the performance challenge in the Las Vegas rounds,and won the twelfth season. Three of the contestants from season 11 auditioned for the subsequent season and made into the Top 30. Caleb Johnson – auditioned in Savannah, cut at the Top 24 selection, and won the thirteenth season. George Lovett – auditioned in Savannah, cut at first day of Hollywood Week. Stephany Negrete - Cut during Hollywood Round 3/Final Solo Round. The premiere was watched by 21.93 million viewers. While at the time it drew the second largest audience of any entertainment program in the television season, it was down 16 percent from the previous year's premiere, which was watched by 26.23 million viewers. After seven consecutive years as the most watched program on primetime television (eight years in the 18/49 demo), the eleventh season of American Idol came in second place to NBC Sunday Night Football in total viewers, as well as in the 18/49 demo. The Wednesday episode (ranked second for the year) averaged 19.811 million while the Thursday episode (placing fourth during the same year) averaged 18.332 million. The show's continued strengths in its Wednesday and Thursday timeslots, however, helped Fox attain its eight consecutive season in its winning streak in the 18-49 demographics, the most in U.S. television history. ^Note a This episode was shown on Sunday, January 22, 2012, after the NFC Championship Game, but was repeated on Tuesday, January 24, 2012 with ratings of 5.7/9 overall and 3.4/9 for the 18/49 demographic. Overall, the episode averaged 9.64 million viewers. ^Note b Episode was bumped out of primetime due to the NFC Championship Game going into overtime, therefore it was not included in the weekly rankings. ↑ "Fox (Finally) Announces Mid-Season Schedule: 'Touch' & 'Alcatraz' Will Share Mondays at 9pm – Ratings". TV by the Numbers. December 1, 2011. Retrieved 2011-12-05. ↑ "Ryan Seacrest Confirms He Will Return To Host 'Idol' in 2012 on 'Leno' [VIDEO]". Ryan Seacrest.com. May 18, 2011. Retrieved 2011-12-05. ↑ "They're Back! Two American Idol Judges Sign On to Return—So Who's the Lone Holdout?". E!. June 29, 2011. Retrieved 2011-12-05. ↑ "Fox says Jennifer Lopez back for 'American Idol'". Reuters. August 17, 2011. Retrieved 2012-07-13. ↑ Nigel Lythgoe Says No Big Changes Planned for 'American Idol' (VIDEO). Aoltv.com. Retrieved 2012-05-27. ↑ Erin Strecker (July 13, 2012). "Jennifer Lopez leaving 'American Idol': 'The time has come'". Entertainment Weekly. Retrieved July 13, 2012. ↑ "American Idol season 11 Winner is Phillip Phillips! - BeautyMania.Biz". May 23, 2012. Retrieved May 23, 2012. ↑ "Season 11 Auditions – Show and Alumni News". American Idol. May 12, 2011. Retrieved 2011-12-05. ↑ "Charleston – Season 11 Auditions". American Idol. Retrieved 2011-12-05. ↑ "Okay, now it's official: Christina Aguilera back on 'Idol'". Blogs.ajc.com. Retrieved 2011-12-05. ↑ Mafera, Cate. "Ryan Seacrest, 'American Idol' land in Savannah". Savannahnow.com. Retrieved 2011-12-05. ↑ "Pittsburgh – Season 11 Auditions". American Idol. Retrieved 2011-12-05. ↑ "San Diego – Season 11 Auditions". American Idol. Retrieved 2011-12-05. 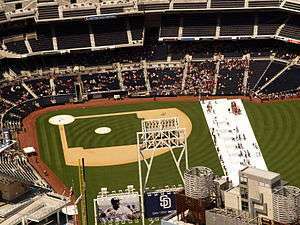 ↑ "American Idol: San Diego Auditions". Myfoxla.com. October 10, 2011. Retrieved 2011-12-05. ↑ "Denver – Season 11 Auditions". American Idol. Retrieved 2011-12-05. ↑ Janet Urquhart (September 28, 2011). ""American Idol" coming to Aspen". The Aspen Times, reprinted in The Denver Post. Retrieved September 28, 2011. ↑ "Wannabe stars align for 'American Idol' in Aspen". Aspentimes.com. October 7, 2011. Retrieved 2011-12-05. ↑ "Houston – Season 11 Auditions". American Idol. Retrieved 2011-12-05. ↑ "Idol judges hope female talent shines in Texas". Houston Chronicle. August 30, 2011. Retrieved 2011-12-05. ↑ "Portland – Season 11 Auditions". American Idol. Retrieved 2011-12-05. ↑ Michael Becker/FOX (October 2, 2011). "'American Idol' comes to Portland: Jennifer Lopez, Steven Tyler, Randy Jackson and Ryan Seacrest talk about local auditions". The Oregonian. Retrieved 2011-12-05. ↑ "St. Louis – Season 11 Auditions". American Idol. Retrieved 2011-12-05. ↑ "'American Idol' returns for audition Round 2". Stltoday.com. September 3, 2011. Retrieved 2011-12-05. ↑ "East Rutherford – Season 11 Auditions". American Idol. Retrieved 2011-12-05. ↑ "American Idol Auditions End This Week? (Schedule Change!)". February 1, 2012. ↑ American Idol" to Hold Auditions in East Rutherford, New Jersey Thursday, September 22. Thefutoncritic.com. Retrieved 2012-05-27. ↑ Idol Craze: Hundreds at Izod Center for 'American Idol' auditions. Bergen.com (September 22, 2011). Retrieved 2012-05-27. ↑ Alex Wong. Americanidol.com. Retrieved 2012-05-27. ↑ "American Idol": Jim Carrey's daughter out, and then disaster. Cbsnews.com (February 9, 2012). Retrieved 2012-05-27. ↑ TCA: 'American Idol' Judges, Producers Bash the Competition. Hollywoodreporter.com. Retrieved 2012-05-27. ↑ "Baylie Brown Birthday". February 22, 2012. ↑ "Hallie Day Birthday". February 25, 2012. ↑ "Jen Hirsh Birthday". February 22, 2012. ↑ "Haley Johnsen Birthday". February 22, 2012. ↑ "Chelsea Sorrell Birthday". February 22, 2012. ↑ "Brielle Von Hugel Birthday". February 25, 2012. ↑ "Eben Franckewitz Birthday". February 22, 2012. ↑ "'American Idol' Vocal Coach Debra Byrd Takes Live Show Leave (Exclusive)". The Hollywood Reporter. February 23, 2012. 1 2 3 4 Graham, Adam (January 18, 2012). "'American Idol': David Leathers Jr., Phillip Phillips Wow". MTV. Retrieved April 27, 2012. ↑ "Jessica Sanchez Birthday". February 22, 2012. ↑ "Skylar Laine Birthday". February 23, 2012. ↑ Thompson, Bill (March 2, 2012). "Local musician Elise Testone advances to finals on 'American Idol'". The Post and Courier. Retrieved March 4, 2012. 1 2 Booth, Jared (October 19, 2011). "Elise Testone and the Freeloaders". Charleston City Paper. Retrieved March 4, 2012. ↑ "Elise Testone: Killin It". Holy City Sinner. February 29, 2012. Retrieved March 4, 2012. ↑ Thompson, Bill (February 15, 2012). "Local 'American Idol' contestant Elise Testone just wants to perform". Charleston Scene. Retrieved March 4, 2012. ↑ Lesemann, T. Ballard (October 19, 2011). "The winners of the 2011 City Paper Music Awards". Charleston City Paper. Retrieved March 4, 2012. ↑ Lesemann, T. Ballard. "Best Tribute". Charleston City Paper. Retrieved March 4, 2012. ↑ Gray, Stanfield (June 2011). "Sound Control". Charleston Magazine. Retrieved March 5, 2012. ↑ Serjeant, Jill (April 27, 2012). "Not my time to go, says ousted "Idol" Elise Testone". Reuters. Retrieved April 27, 2012. ↑ "Colton Dixon Birthday". February 22, 2012. ↑ "Erika Van Pelt Birthday". February 22, 2012. ↑ "Shannon Magrane Birthday". February 25, 2012. ↑ "American Idol Cast-Off Shannon Magrane Talks That Steven Tyler Moment On Anderson". Huffington Post. March 21, 2012. Retrieved April 27, 2012. ↑ "Jermaine Jones of 'American Idol' does talk to his father, says his mother". March 8, 2012. Retrieved March 8, 2012. 1 2 Lisa de Moraes (March 15, 2012). "'American Idol': After Jermaine Jones is disqualified, who will go home?". The Washington Post. ↑ "Tommy Hilfiger tranforms Erika Van Pelt, can't help Philip Phillips on 'American Idol'". Newsday. March 22, 2012. ↑ Jermaine Jones disqualified from 'American Idol'. Content.usatoday.com (March 14, 2012). Retrieved 2012-05-27. ↑ 'American Idol': Jermaine Jones disqualification captured on tape. What are the chances?!. Popwatch.ew.com (March 14, 2012). Retrieved 2012-05-27. 1 2 "Women win the week for 'Idol' downloads". USA Today. March 28, 2012. ↑ Bubbling Under Hot 100 Singles. Billboard.com. Retrieved 2012-05-27. 1 2 Paul Grein (April 4, 2012). "Week Ending April 1, 2012. Songs: A Teen-Tastic Top 10". Chart Watch. Yahoo Music. 1 2 Mansfield, Brian (April 4, 2012). "'Don't You Wanna Stay' passes 2 million downloads". Idol Chatter. Retrieved April 4, 2012. ↑ "Week Ending April 8, 2012. Songs: Newcomers Beat Superstars | Chart Watch (NEW) – Yahoo! Music". Yahoo! Music. April 11, 2012. ↑ "'Idol' track sales: Kelly Clarkson and more". USA Today. April 11, 2012. Retrieved 2012-04-21. 1 2 Paul Grein (April 11, 2012). "Week Ending April 8, 2012. Songs: Newcomers Beat Superstars". Chart Watch. Yahoo Music. ↑ "Jennifer Hudson Chart History". Billboard. Retrieved 2012-05-23. 1 2 "Idols boost Idols with 'Idol' performances". USA Today. April 18, 2012. Retrieved 2012-04-21. ↑ "'Idol' downloads: Clarkson, Underwood, Lambert". USA Today. April 25, 2012. Retrieved 2012-04-27. ↑ Mansfield, Brian (May 2, 2012). "Clarkson, Underwood dominate 'Idol' track sales". Idol Chatter. Retrieved May 3, 2012. ↑ "US Singles Top 100 – Saturday January 28, 2012". ↑ "Kelly Clarkson hits 3 million for 'Stronger' single". USA TODAY. May 10, 2012. Retrieved 2012-05-11. 1 2 "'Idol' performance boosts J-Lo's sales". USA TODAY. May 17, 2012. Retrieved 2012-05-17. ↑ Trust, Gary (May 18, 2012). "Chart Moves: Jennifer Lopez's 'Dance Again' Rebounds, 2Chainz's 'No Lie' Debuts on Hot 100". Billboard. Retrieved 2012-05-19. 1 2 3 4 Mansfield, Brian (May 30, 2012). "Phillip Phillips puts up big 'Home' numbers". Idol Chatter. Retrieved May 30, 2012. 1 2 Paul Grein (May 30, 2012). "Week Ending May 27, 2012. Songs: Bieber's Transitional Hit". Chart Watch. Yahoo Music. ↑ Trust, Gary (May 30, 2012). "Phillip Phillips Storms Hot 100's Top 10, Gotye Has Year's Longest-Running No. 1". Chart Beat. Retrieved May 30, 2012. ↑ Kevin O'Donnell (March 16, 2012). "Jermaine Jones: I Didn't Know I Broke American Idol's Rules". People. ↑ Beth DeFalco (March 15, 2012). "Cops: Wasn't worth chasing 'Idol' on small charges". Seattle Post-Intelligencer. Associated Press. ↑ Shirley Halperin (March 14, 2012). "'American Idol': Did Show Producers Plot the Jermaine Jones Scandal in Advance? (Opinion)". The Hollywood Reporter. ↑ "Jermaine Jones speaks on 'Idol' exit". The Marquee Blog. CNN. March 16, 2012. ↑ Jennifer Lopez's 'Dance Again' Video Slammed By Right Wing Group (VIDEO). Huffingtonpost.com (April 9, 2012). Retrieved 2012-05-27. ↑ Jennifer Lopez's 'Dance Again' Video Stirs Controversy: Her Five Trashiest Videos. Ibtimes.com (April 9, 2012). Retrieved 2012-05-27. ↑ "New Video: Jennifer Lopez Featuring Pitbull, 'Dance Again'". MTV. March 30, 2012. Retrieved 2012-04-12. ↑ Masley, Ed. "Was J.Lo video too steamy for 'family-friendly' 'American Idol?'". The Arizona Republic. Retrieved 2012-04-27. ↑ Derrik J. Lang (May 18, 2012). "Will another white guitar guy win 'Idol'?". Chicago Sun-Times. ↑ Laura Prudom (May 24, 2012). "'American Idol': Why Phillip Phillips and the White Guy With Guitar Trend Are Bad For Business". Huffington Post. Retrieved May 27, 2012. ↑ "Phillip Phillips Continues Worrying Trend Of 'White Guy With Guitar' Winners For 'American Idol'". Star Pulse. May 24, 2012. Retrieved May 30, 2012. 1 2 ""American Idol" Expert Says Jessica Sanchez Can't Win". ABC. ABC News. May 23, 2012. Retrieved May 23, 2012. 1 2 Herbert, Steven (January 25, 2012). "Fox wins with 'American Idol' and football". The Orange County Register. Retrieved 2012-02-10. ↑ Andreeva, Nellie (May 24, 2012). "Full 2011–2012 TV Season Series Rankings". Retrieved May 25, 2012. ↑ Gorman, Bill (January 19, 2012). "Wednesday Final Ratings: 'American Idol,' 'Modern Family' Adjusted Up; 'Are You There, Chelsea?,' 'The Middle' Adjusted Down". TV by the Numbers. Retrieved January 19, 2012. 1 2 Seidman, Robert (January 24, 2012). "TV Ratings Broadcast Top 25: Giants-49ers, 'American Idol,' 'Big Bang Theory' Top Week 18". TVbytheNumbers. Retrieved 2012-01-25. ↑ Thursday Final Ratings: 'Big Bang Theory' Tops 'American Idol' 1st Half Hour; 'Office,' 'Mentalist,' 'Grey's' Adj. Up; 'Person,' 'Rob,' 'Parks' Adj. Down. Tvbythenumbers.zap2it.com (January 20, 2012). Retrieved 2012-05-27. ↑ Seidman, Robert (January 24, 2012). "Fox Moves Into Season Lead, Outrates Other Four Networks Combined". TVbytheNumbers. Retrieved 2012-01-31. ↑ Seidman, Robert (January 26, 2012). "Wednesday Final Ratings: 'American Idol,' 'Criminal Minds,' 'CSI' Adjusted Up". TVbytheNumbers. Retrieved 2012-01-27. 1 2 3 Gorman, Bill (January 31, 2012). "TV Ratings Broadcast Top 25: 'American Idol,' 'Big Bang Theory' Top Week 19". TVbytheNumbers. Retrieved 2012-01-31. ↑ Seidman, Robert (January 27, 2012). "Thursday Final Ratings: 'The Big Bang Theory' Adjusted Up to Thursday High; 'American Idol' Up; 'The Finder' Adjusted Down". TVbytheNumbers. Retrieved 2012-01-28. ↑ Gorman, Bill (February 2, 2012). "Wednesday Final Ratings: 'American Idol' Adjusted Up; 'Mobbed,' 'Super Bowl's Greatest Commercials' Adjusted Down". TVbytheNumbers. Retrieved 2012-02-02. 1 2 Seidman, Robert (February 7, 2012). "TV Ratings Broadcast Top 25: 'Super Bowl,' 'The Voice' Top Week 20". TVbytheNumber. Retrieved 2012-02-07. ↑ Gorman, Bill (February 3, 2012). "Thursday Final Ratings: 'American Idol,' 'Big Bang Theory,' 'Grey's Anatomy,' 'Office,' 'Mentalist' Adjusted Up; 'Rob' Adjusted Down". TVbytheNumbers. Retrieved 2012-02-03. ↑ Seidman, Robert (February 9, 2012). "Wednesday Final Ratings: 'American Idol,' 'Suburgatory' Adjusted Up; 'Happy Endings,' 'CSI,' 'SVU,' Among Many Downward Adjustments". TVbytheNumbers. Retrieved 2012-02-10. 1 2 Gorman, Bill (February 14, 2012). "TV Ratings Broadcast Top 25: 'Grammy Awards,' 'The Voice,' 'The Big Bang Theory' Top Week 21". TVbytheNumber. Archived from the original on June 26, 2012. Retrieved 2012-02-15. ↑ Seidman, Robert (February 10, 2012). "Thursday Final Ratings: 'The Big Bang Theory,' 'American Idol,' 'Grey's Anatomy,' 'The Mentalist,' 'Vampire Diaries' Adjusted Up; 'Rob,' 'Private Practice,' 'The Finder,' 'Up All Night' Adjusted Down". TVbytheNumbers. Retrieved 2012-02-10. ↑ Kondolojy, Amanda (February 16, 2012). "Wednesday Final Ratings: 'American Idol,' 'One Tree Hill,' 'Survivor,' 'Whitney,' & 'Criminal Minds' Adjusted Up, 'The Middle,' 'CSI,' 'Rock Center,' & 'Happy Endings' Adjusted Down". TVbytheNumber. Retrieved 2012-02-17. 1 2 Seidman, Robert (February 22, 2012). "TV Ratings Broadcast Top 25: 'American Idol,' 'The Voice,' 'The Big Bang Theory' and 'NCIS' Top Week 22". TVbytheNumber. Archived from the original on June 11, 2012. Retrieved 2012-02-22. ↑ Gorman, Bill (February 17, 2012). "Thursday Final Ratings: 'American Idol,' 'Vampire Diaries,' 'Grey's Anatomy,' 'Big Bang Theory,' '30 Rock,' 'Office' Adjusted Up; 'Person Of Interest,' 'Mentalist,' 'Secret Circle' Adjusted Down". TVbytheNumber. Archived from the original on April 10, 2012. Retrieved 2012-02-17. ↑ Bibel, Sara (February 23, 2012). "Wednesday Final Ratings: 'Modern Family,' 'CSI,' 'One Tree Hill' Adjusted Up, 'The Middle,' 'Happy Endings' Adjusted Down". TVbytheNumber. Retrieved 2012-02-25. 1 2 Kondolojy, Amanda (February 28, 2012). "TV Ratings Broadcast Top 25: 'Academy Awards' Towers Over The Week, 'Big Bang Theory' Is Top Scripted Show". TVbytheNumber. Archived from the original on June 10, 2012. Retrieved 2012-02-29. ↑ Bibel, Sara (February 24, 2012). "Thursday Final Ratings: 'Big Bang Theory,' 'American Idol,' 'The Mentalist' Adjusted Up; 'Rob,' 'Private Practice,' 'Up All Night' Adjusted Down". TVbytheNumber. Retrieved 2012-02-26. ↑ Tuesday Final Ratings: 'American Idol,' 'NCIS,' 'Last Man Standing,' 'Body Of Proof' & 'Cougar Town' Adjusted Up. Tvbythenumbers.zap2it.com (February 29, 2012). Retrieved 2012-05-27. 1 2 3 Seidman, Robert (March 6, 2012). "TV Ratings Broadcast Top 25: 'The Voice,' 'American Idol,' 'Modern Family,' NCIS Top Week 24". TVbytheNumbers. Retrieved 2012-03-07. ↑ Kondolojy, Amanda (March 1, 2012). "Wednesday Final Ratings: 'American Idol' Adjusted Up; 'Suburgatory,' 'America's Next Top Model' & 'Happy Endings' Adjusted Down". TV by the Numbers. Retrieved 2012-03-02. ↑ Kondolojy, Amanda (March 2, 2012). "Thursday Final Ratings: 'Awake' & 'American Idol' Adjusted Up". TV by the Numbers. Retrieved 2012-03-03. ↑ Bibel, Sara (March 8, 2012). "Wednesday Final Ratings: 'American Idol' Adjusted Up". TVbytheNumbers. Retrieved 2012-03-08. 1 2 Kondolojy, Amanda (March 13, 2012). "TTV Ratings Broadcast Top 25: 'The Voice,' 'American Idol,' 'Big Bang Theory' Top Week 25 Ratings". TV by the Numbers. Retrieved 2012-03-13. ↑ Bibel, Sara (March 9, 2012). "Thursday Final Ratings: 'American Idol' Adjusted Up; 'Parks & Recreation' Adjusted Down". TVbytheNumbers. Retrieved 2012-03-10. ↑ Kondolojy, Amanda (March 15, 2012). "Wednesday Final Ratings: 'American Idol', 'Survivor: One World', 'CSI', 'One Tree Hill', 'Are You There, Chelsea?' & 'Modern Family' Adjust Up". TVbytheNumbers. Retrieved March 16, 2012. 1 2 Bibel, Sara (March 22, 2012). "TV Ratings Broadcast Top 25: 'American Idol,' 'The Voice,' 'Modern Family' Top Week 26 Ratings". TVbytheNumbers. Retrieved 2012-03-20. ↑ Kondolojy, Amanda (March 16, 2012). "Thursday Final Ratings: 'American Idol', 'The Office', 'Missing' Adjusted Up, 'Private Practice' Adjusted Down + NCAA Game Ratings". TVbytheNumbers. Retrieved March 16, 2012. ↑ Biebel, Sara (March 23, 2012). "Wednesday Final Ratings: 'American Idol,' 'Survivor,' 'CSI,' 'One Tree Hill' Adjusted Up; 'Bent' Adjusted Down". TVbytheNumbers. Retrieved March 23, 2012. 1 2 Kondolojy, Amanda (March 27, 2012). "TV Ratings Broadcast Top 25: 'American Idol', 'NCIS' Top Week 27 Ratings". TVbytheNumbers. Retrieved March 27, 2012. ↑ Seidman, Robert (March 24, 2012). "Thursday Final Ratings: 'American Idol,' 'Touch,' '30 Rock,' 'Up All Night' Adjusted Up". TVbytheNumbers. Retrieved March 23, 2012. ↑ Kondolojy, Amanda (March 29, 2012). "Wednesday Final Ratings: 'Idol', 'Survivor' 'One Tree Hill' and 'Whitney' All Adjusted Up". TVbytheNumbers. Retrieved March 30, 2012. 1 2 Bibel, Sara (April 3, 2012). "TV Ratings Broadcast Top 25: NCAA, 'American Idol,' 'The Voice,' 'Big Bang Theory' and 'NCIS Top Week 28 Viewing". TVbytheNumbers. Retrieved 2012-04-07. ↑ Kondolojy, Amanda (March 30, 2012). "Thursday Final Ratings: 'American Idol',"The Big Bang Theory', 'Missing' and 'Vampire Diaries' Adjusted Up, 'Rules' and 'Touch' Adjusted Down". TVbytheNumbers. Retrieved April 1, 2012. ↑ Bibel, Sara (April 5, 2012). "Wednesday Final Ratings: 'American Idol', 'Happy Endings', 'Survivor' Adjusted Up; 'Bent' Adjusted Down". TVbytheNumbers. Retrieved April 6, 2012. 1 2 Bibel, Sara (April 10, 2012). "TV Ratings Broadcast Top 25: 'American Idol,' 'Big Bang Theory', 'The Voice,'and 'Person of Interest' Top Week 29 Viewing". VbytheNumbers. Retrieved April 12, 2012. ↑ Bibel, Sara (April 6, 2012). "Thursday Final Ratings: 'Big Bang Theory', 'American Idol', 'Person of Interest', 'Missing', 'Up All Night' Adjusted Up; 'Scandal' Adjusted Down". TVbytheNumbers. Retrieved April 6, 2012. 1 2 Kondolojy, Amanda (April 17, 2012). "TV Ratings Broadcast Top 25: 'American Idol', 'NCIS' Top Week 30 Viewing". TVbytheNumbers. Retrieved April 18, 2012. ↑ Kondolojy, Amanda (April 19, 2012). "Wednesday Final Ratings: 'American Idol', 'SVU', 'Survivor', 'Modern Family' Adjusted Up; 'Off Their Rockers, 'Best Friends Forever', 'Rock Center' Adjusted Down". TV by the Numbers. Retrieved April 19, 2012. 1 2 Kondolojy, Amanda (April 24, 2012). "TV Ratings Broadcast Top 25: 'American Idol', 'Modern Family' Top Week 31 Viewing". TVbytheNumbers. Retrieved April 24, 2012. ↑ Kondolojy, Amanda (April 20, 2012). "Thursday Final Ratings: 'American Idol', 'Grey's Anatomy', 'Awake' & 'Missing' Adjusted Up; 'Scandal' & 'Parks and Recreation' Adjusted Down". TV by the Numbers. Retrieved April 20, 2012. ↑ Kondolojy, Amanda (April 26, 2012). "Wednesday Final Ratings: 'American Idol', 'SVU', 'Survivor', 'Off Their Rockers', & 'Revenge' Adjusted Up". TV by the Numbers. Retrieved April 26, 2012. 1 2 Bibel, Sara (May 2, 2012). "TV Ratings Broadcast Top 25: 'American Idol', 'Big Bang Theory' Top Week 32 Viewing". TVbytheNumbers. Retrieved May 1, 2012. ↑ Kondolojy, Amanda (April 27, 2012). "Thursday Final Ratings: 'Idol', 'Big Bang Theory', 'Grey's', 'The Vampire Diaries', 'Mentalist' & 'Missing' Adjusted Up; 'Scandal' Adjusted Down". TV by the Numbers. Retrieved April 27, 2012. ↑ Kondolojy, Amanda (May 3, 2012). "Wednesday Final Ratings: 'American Idol', 'SVU', 'Survivor', 'Modern Family', & 'ANTM' Adjusted Up, 'Don't Trust the B' Adjusted Down". TV by the Numbers. Retrieved May 3, 2012. 1 2 Kondolojy, Amanda (May 13, 2012). "TV Ratings Broadcast Top 25: 'American Idol', 'The Big Bang Theory' & 'NCIS' Top Week 33 Viewing". TVbytheNumbers. Retrieved May 8, 2012. ↑ Kondolojy, Amanda (May 4, 2012). "Thursday Final Ratings:'The Big Bang Theory', 'American Idol', 'Vampire Diaries', 'Grey's Anatomy,' 'Mentalist', Adjusted Up; 'Secret Circle','Scandal' Adjusted Down". TV by the Numbers. Retrieved May 4, 2012. ↑ Kondolojy, Amanda (May 10, 2012). "Wednesday Final Ratings: 'Idol', 'SVU', 'Modern Family', 'Survivor', & 'Criminal Minds' Adjusted Up; 'Off Their Rockers', 'Rock Center' Adjusted Down". TV by the Numbers. Retrieved May 11, 2012. 1 2 Bibel, Sara (May 16, 2012). "TV Ratings Broadcast Top 25: 'American Idol' & 'NCIS' Top Week 34 Viewing". TVbytheNumbers. Retrieved May 15, 2012. ↑ Bibel, Sara (May 17, 2012). "Wednesday Final Ratings:'American Idol', 'Criminal Minds', 'Off Their Rockers' Adjusted Up; 'Don't Trust the B' Adjusted Down". TV by the Numbers. Retrieved May 17, 2012. 1 2 Kondolojy, Amanda (May 22, 2012). "TV Ratings Broadcast Top 25: 'American Idol', 'NCIS' Top Week 35 Viewing". TVbytheNumbers. Retrieved May 26, 2012. ↑ Bibel, Sara (May 18, 2012). "Thursday Final Ratings: 'American Idol', 'Grey's Anatomy', '30 Rock' Adjusted Up; 'Touch', 'Scandal' Adjusted Down". TV by the Numbers. Retrieved May 18, 2012. ↑ Kondolojy, Amanda (May 23, 2012). "Tuesday Final Ratings: 'American Idol', 'DWTS', 'AGT' Adjusted Up, 'Glee' Adjusted Down". Retrieved May 23, 2012. 1 2 Bibel, Sara (May 30, 2012). "TV Ratings Broadcast Top 25: 'American Idol' Tops Week 36 Viewing; 'Modern Family' is Number One Scripted Program". TVbytheNumbers. Retrieved May 31, 2012. ↑ Kondolojy, Amanda (May 24, 2012). "Wednesday Final Ratings: 'Idol', 'Modern Family', & 'SVU' Adjusted Up, 'Apt 23' Adjusted Down". Retrieved May 24, 2012. ↑ Seidman, Robert (January 25, 2012). "Tuesday Final Ratings: 'American Idol' Encore Adjusted Up; No Adjustments for '90210' or 'Remodeled'". TV. Retrieved 2012-01-31.